Ask fellow campers about "Mill Creek Ranch RV & Cottage Resort" and nearby attractions. We stayed in a standard site #99 in a section of the park that hasn’t been upgraded with paving. The pad was concrete but the roads broken asphalt. A premium section with all new paving is available. Sites were fairly close as is typical of commercial parks. This is a resort park with resort features- swimming pools, clubhouse (lodge), disc golf, fishing ponds. Utilities all worked well enough except the cable- snowy. A small dog park is available as is an hourly free shuttle to Canton 1st Monday Trade Days. That alone was worth staying at the park. Friday night had a local BBQ food truck and live music in the lodge which sells beer and wine- nice! The park is pretty much located within the town of Canton- so road noise was present, but not disturbing. I’d stay here again if visiting 1st Monday Trade Days. We camped at Mill Creek Ranch RV & Cottage Resort in a Motorhome. Dog Alley was interesting if you are into different breeds of puppies for sale. The park has recently put in concrete pads and roads throughout. Very nice! They have lots of scheduled kids activities and on the weekend. We went during their "summer rates". There isn't a lot of shade at this park. The back in sites under the tree line are best if you want shade. There are quite a few pull thrus but the trees around them aren't very big and they do not allow tents. You choose your site when you make a reservation. Double check your request. We asked for two sites next to each other but when we checked in they had separated us. When we made reservations there weren't any sites along the tree line but when we checked in there were plenty, however none side by side. We had a site separating our two campers but no one ever showed up between us. I question their reservation system. Overall a great park and close to Dallas for a weekend getaway. We will definitely look forward to going again. A couple of improvements they could make are new picnic tables - they are very weathered and warped, and mowing was needed. We camped at Mill Creek Ranch RV & Cottage Resort in a Travel Trailer. Gotta go to Dairy Palace, always crazy busy but it's great! We also went to a Greek restaurant (Alex's) and enjoyed it. The store in front of the campground has lots of interesting decorating stuff. There is a Walmart and a Brookshires in town. The campground has cottage and tiny house rentals. The campground is very nicely landscaped with trees at most every site. Brand new extra-wide concrete roadways. Level concrete site pads and patio spaces. Sites are equipped with a white, lighted utilities pedestal with a clear marking of each site number. The utilities are in the perfect spot for our rig with good water pressure, clean power. The maintenance crew was mowing/trimming when we arrived. Pool at the office was clean and the area surrounding it was well maintained. 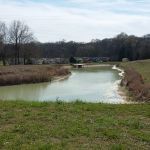 Plenty of mowed "green space" with lakes and ponds to walk your pets. When in East Texas we will stay here again. We camped at Mill Creek Ranch RV & Cottage Resort in a Motorhome. Canton is a shopping mecca during their "First Monday Trade Days." It is advertised as the largest yard sale in America. The entire town is a yard sale. I think it would be worthwhile to stay at this campground during the festivities. First let me state that I stayed in a "standard" pull thru site. Having walked thru the campground, I would recommend trying the "premium" sites as they are significantly more appealing. Had I known there were better sites available I would have chosen to pay the extra $10 to have a nicer site, but the office never mentioned it and I didn't do enough homework to know. Despite the small number of campers that night, the office placed me between two other campers (I never understand why campgrounds don't spread people out to maximize their camper's privacy and comfort). The sites are relatively close together and there is ample room for big rigs and tow cars. The electrical and water worked fine. The sewer connection was cross threaded and unusable. The cable was like watching TV in a snow storm: useless. The park in general could use some sprucing up: trash laying around, trees needed trimming, pot holes in the roads. It's amazing since when you drive up it looks like a first class resort but when you hit the "standard" site area, it leaves a lot to be desired. Better maintained, lower price options exist 30 miles either way down I-20, I'd recommend looking at those campgrounds or paying up to stay in the premium sites. We camped at Mill Creek Ranch RV & Cottage Resort in a Motorhome. This resort is old. The entrance is almost hidden. The interior road is rough. The "grass" is almost not existant. The staff is nice. It is a large family oriented resort. I will not rate any of that since we did not use any of the amenities. The sites are rough and not very level, we had trees on our site that needed trimming. The site hadnt't been "policed" very well. I lot of trash laying around. There was a lot of ants at all the sites. The Taco Shack near the entrance had very good food. We camped at Mill Creek Ranch RV & Cottage Resort in a Motorhome. The grass at our site is sparse, the picnic table is rotting and the sewer connection is broken. There are a lot of amenities - good for some people we just don't use the pool and other games. The roads here, while some are patched, are still rather bumpy. It was in a location that we needed so it was an okay camp site. 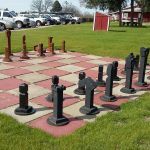 We camped at Mill Creek Ranch RV & Cottage Resort in a Motorhome. We had booked 2 nights with Coast to Coast at the rate of $0/night. We decided to arrive a day earlier and since we hadn't booked it they charged us $30 for the one night. This is a very large resort with a ton of amenities. There are 2 pools, 5 ponds for fishing, paddle boats, Frisbee golf, lodges, game rooms, a spa, and a lodge that has live music on Friday nights. This area is known for the First Monday Trade Days which is actually held the Thurs-Sun before the 1st of the month. We were not here for that but it must be crazy here for that. 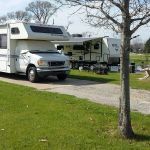 They have RV sites that are very large (could have parked out 35' motorhome and a car in front and a car behind) pull through sites with a concrete pad in the middle with gravel on the ends. The hookups worked well but the cable was pretty grainy. The picnic table has seen better days and there was a fire pit. Wifi and cell reception was good. There were shade trees at the site. There are plenty of restaurants right in the area with a Walmart about 10 mins away. The signage for the resort was a bit hidden and could be better. We would definitely stay here again! We camped at Mill Creek Ranch RV & Cottage Resort in a Motorhome. This is a large picturesque campground with RV sites, cabins and several ponds. The entrance is somewhat hidden coming from I-20; the sign is blocked by a tree and the entrance road appears to lead into a parking lot. I'd suggest looking at a satellite view to orient yourself prior to arriving. Our kids enjoyed the pool, it's large with a waterfall. Restrooms/Showers were clean and adequate. The staff was helpful and friendly. Our site was shady pull thru with a level concrete pad, patio and picnic table. Some reviewers have commented on pot holes; I believe the staff is resolving this issue as we only saw one road with a significant pot hole. We would camp here again. We camped at Mill Creek Ranch RV & Cottage Resort in a Motorhome. We spent 3 nights here and couldn't have been any happier. Well maybe if my husband had caught some fish he would have been happier. It is a beautiful maintained park we counted at least 5 ponds. One large one was where most people fished. We had a perfect view of it from site #82. There are many amenities too many to go into but we did not take advantage of anything other than the shuttle to First Monday Trade Day. The shuttle run every hour. Fire pits at each site. Long pull through. My son's and family come every 4th of July for the special events they have for kids and families. Only bad thing the enterance sign is very hard to see from the road so watch for it. 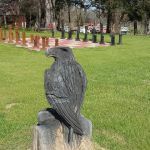 We camped at Mill Creek Ranch RV & Cottage Resort in a Motorhome. Watch closely for the enterance sign very hard to see. We passed it and got into a lot of Trade Day traffic. Watch carefully for the entrance, it can be a bit hard to see. Their sign now is white with some of the writing in yellow. Very fancy entrance and office/lodge. Looks like they have a lot of amenities. We just stayed two nights to visit family so didn't use anything but the RV site. Pull thru site was VERY long which was awesome. We fit our F350 truck, 40' fifth wheel, and small SUV pulling a trailer with motorcycles all on one site in a row. Partial concrete, partial gravel. The concrete was broken but we were still able to level easily. Some trees around the sites which I'm sure comes in handy in the summer, but I was a bit concerned about scraping the RV when pulling in. Hookups worked as desired. Sites had breathing room between each other, and the campground wasn't very full and they spaced out the RVs that were there nicely. Go slow on the campground roads as they are a bit bumpy/pot holed in spots. Some interstate noise. Chatty birds in the mornings. AT&T cell service was good. Pretty easy drive to Dallas from here. We'd stay again. We camped at Mill Creek Ranch RV & Cottage Resort in a Fifth Wheel. Great place. Friendly staff. Good amenities, longest pull through sites ever, 60'. Gravel and concrete sites. Good space between sites. Nice pool but be sure to enter properly or you may find a long three foot drop off. WiFi is $5 per device per stay. We did not use it. We camped at Mill Creek Ranch RV & Cottage Resort in a Motorhome. Many restaurants and a Walmart nearby. Mill Creek Ranch Resort is a highly rated and popular commercial RV park in Canton, Texas. It is conveniently located near the Canton Trade Days and multiple restaurants. Our pull through site #27 was very long, with good spacing and morning shade. Nice pools and air conditioned meeting room. The utilities are well placed and all worked well. WiFi is a $5 extra charge (we declined). Interior roads are in poor shape and need to be resurfaced. They have a 1.5 mile walking trail and an additional 1.8 mile hiking trail. The staff was friendly. We've stayed here multiple times. We camped at Mill Creek Ranch RV & Cottage Resort in a Fifth Wheel. Walmart and grocery store 3 miles south of park. We have been going to this park since it opened, usually at LEAST twice a year and consider this our home park. The park has been going downhill quickly, and when we say something we get the 'reasons' that they must use on those that haven't been coming here for years. The roads have BIG potholes. "It's rained too much." The wifi still doesn't work. "It's rained too much." The concrete sites are broken up and unlevel in the two we tried before settling on one last time. This park was SO good: sad to see it go down so much. We camped at Mill Creek Ranch RV & Cottage Resort in a Motorhome. First Monday trade days of course :-). Val's Italian on the square was delicious! Disappointed with the grass situation. During a busy and packed Memorial Day weekend, the grass should not have been tall. Our dachshund kept scrapping his little belly and did not like the tall grass. The fire ants were numerous at our site. Those little buggers should have been eradicated prior to this big weekend. Bingo was played only on four games on very small cards. Not fun. Customer service was good. No feedback requested about our stay. Trees should have been cut back. There was a limb my husband had to take down or risk tearing our awning. Level sites. Kids (around 8 or so) driving around on golf carts at high speeds, no one stopped them. Sites were level. We camped at Mill Creek Ranch RV & Cottage Resort in a Travel Trailer. Good Sam needs to re evaluate this park. No way can it be a 10 10 10. The interior roads are full of huge potholes; this didn't happen overnight. We saw a sign mentioning road work but saw no signs of any work. Concrete pads are good, but asphalt aprons are breaking up. The rate is raised for First Monday week ends; one of the offsets of this is supposed to be a free barbecue dinner, but this was cancelled due to it being a New Year's holiday. Cable was fuzzy and poor; we have had that problem on other visits. When I stepped outside, I saw the almost every other RV had an antenna up; when we did that, we got about 30 channels with great reception. Unfortunately, the power went out at about 2:00 in the p.m. It was freezing cold; we turned on our generator; don't know what people without one did. Oncor had to come to fix it; one man worked for hours. Finally power back on at 10:30 that night. I have called 4 times to ask if there will be any compensation for 8 hours without power. Each time it's "I"ll have to talk to management." Management was supposed to decide last Tuesday; it's now Sunday, and I just got the same answer. Wi fi was not good either. This is a 10 10 10 resort??? We camped at Mill Creek Ranch RV & Cottage Resort in a Motorhome. They do have a shuttle to First Monday, which saves you a parking fee. This is the main reason people come here. Are you affiliated with Mill Creek Ranch RV & Cottage Resort ?